Nicaragua is the largest country in Central America by land mass. It is bordered by Honduras to the northwest, Costa Rica to the southeast, the Caribbean Sea in the east, and the North Pacific Ocean in the west. The capital city of Nicaragua is Managua. Roughly one quarter of the nation’s population lives in the Nicaraguan capital, and it is among the largest cities and metropolitan areas in Central America. The multi-ethnic population includes indigenous peoples, Europeans, Africans, Asians, and people of Middle Eastern origin. The main language is Spanish. Native tribes on the eastern coast speak their own languages. Geographically, Nicaragua’s extensive Atlantic coastal plains rise to central interior mountains. Nicaragua is dotted by several lakes of volcanic origin, while the narrow Pacific coastal plain has several dramatic volcanoes. This is also home the largest freshwater body in Central America, Lago de Nicaragua (Lake Nicaragua or Cocibolca). Its combination of biological diversity, a warm tropical climate, and active volcanoes, and other features have made Nicaragua an increasingly popular travel destination in recent years. Southern Pacific Coast… A narrow stretch of land bordered by the Pacific Ocean and Lago Nicaragua. Surf remote spots along the coast, party in San Juan del Sur or ride a motorbike around iconic Isla de Ometepe. 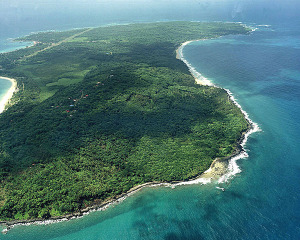 An almost forgotten part of the country with its hidden treasures like the car free Solentiname Islands or El Castillo. Caribbean Nicaragua… Here travel is mostly done by boat and the rich mixture of Nicaraguan, Caribbean, Miskito Indian and Garifuna cultures makes this region seem like another country. Northern Highlands… Visit cigar factories in Esteli or see how coffee is grown in the shade forests surrounding Matagalpa, in a region filled with remnants of the revolution. Northern Pacific Coast… At the collision point between two tectonic plates, this region has some of the highest volcanic activity on Earth and is also home to two national icons: Flor de Caña rum and poet Rubén Darío. Click on a destination to explore. The Corn Islands are located off the coast of Nicaragua in the Caribbean Sea. The two main islands, Big Corn and Little Corn, were originally colonized by the British, and this cultural influence remains strong. Travel infrastructure on both islands remains simple, relaxed, and friendly. This islands are known for their many beaches, excellent snorkeling, and diving. 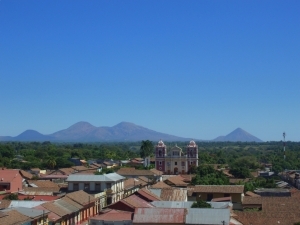 Granada is located on the northwest side of the Lake Nicaragua (Lago Cocibolca). 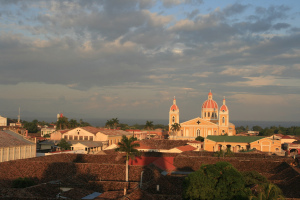 It is the oldest colonial city in Nicaragua, and has retained much of its colorful colonial buildings and interesting. The lake and surrounding volcanoes offer diverse outdoor activities, from boating to hiking. Ometepe Island (Isla de Ometepe) is an island located in Lake Nicaragua (Lago Cocibolca). There are only a few small settlements on the island, making it a good place for a remote escape from the crowds. The island is dominated by two volcanoes, which can be climbed, as hiking trails and beaches. Biking and motor-biking the island are both popular. León, located in northwestern Nicaragua, is one of the oldest cities in Nicaragua and has retained some of the best colonial architecture in Nicaragua, including León Cathedral. The nearby Ruins of Leon Viejo, are a historically significant archeological area. Both the cathedral and the ruins are UNESCO World Heritage Sites. The entire region has volcanoes and diverse hiking opportunities. Río San Juan is a river and region in southeastern Nicaragua that provides a variety of boating options, including public or private boat and kayaking. 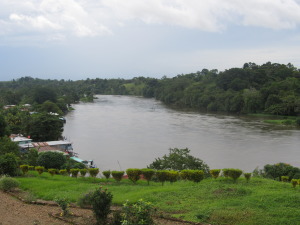 The river has few settlements and much of it is rainforest, with diverse wildlife along the way, and even an old fort. The main town for starting travel downriver is San Carlos.